James Ramey was born August 17, 1944 in Richmond, Indiana and later moved to Chicago at the age of nineteen. Adopting the stage name “Baby Huey” after the gigantic duckling cartoon character Martin Taras created for Paramount Pictures in the ’50s, he formed The Babysitters with guitarist Johnny Ross and organ player/trumpeter Melvin “Deacon” Jones. The song “Running” is a Curtis Mayfield number, and Mayfield actually produced the sessions that would be used to create the posthumous and only album by Baby Huey and The Babysitters—The Baby Huey Story: The Living Legend. 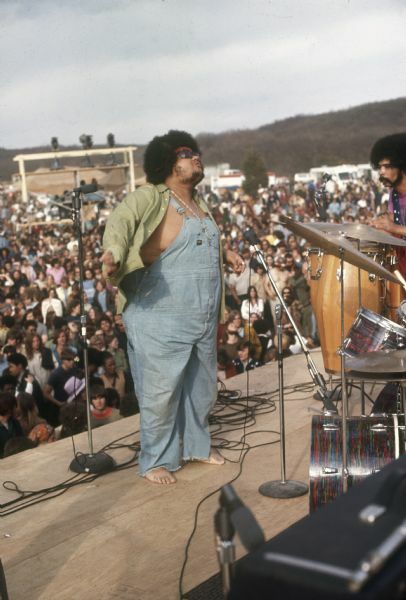 It was assembled and released in 1971, after Baby Huey died in a South Side motel room on October 28, 1970 at the age of 26. The death has been attributed to both a heart attack and a drug overdose. 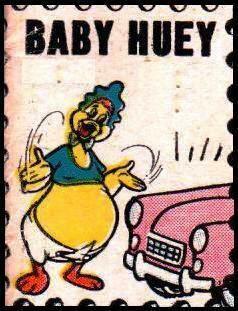 Despite weighing in at roughly 400 pounds, Baby Huey was in fact a heroin addict. His mighty mighty voice and singular delivery impressed Curtom Records arranger Donny Hathaway and got the band signed to Mayfield’s record label, located in Chicago’s old RCA studio. For their rendition of Sam Cooke’s “A Change Is Gonna Come” alone The Baby Huey Story is a must have album; and I’ll certainly be posting that track at some later date. They were not merely a soul group but inhabited that territory where soul meets bombastic psychedelic rock. After some pedal shifting and tone tweaking into echoes, “Running” comes on with Sly Stone style good-times menace of horns, bass, drums, and guitar. I particularly dig the way the keyboards seem to flit about the melody, but periodically step on it to keep it in shape, and the horns just jump right up and punch you in the face. 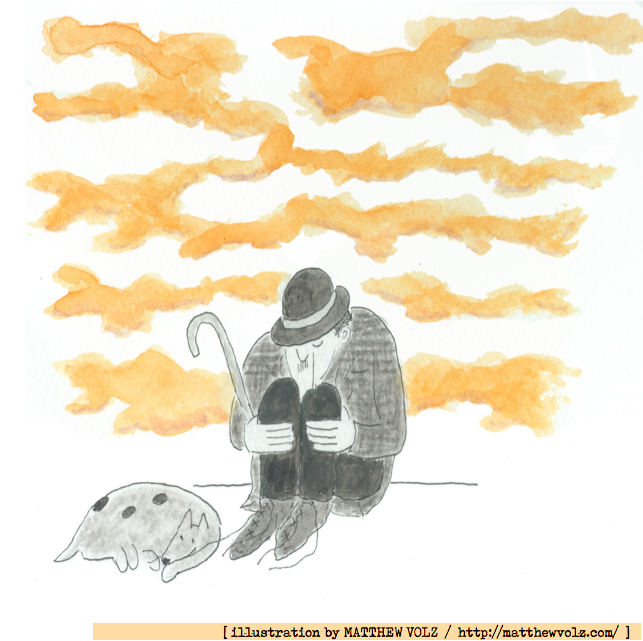 As for the vocals, it’s not often that someone who sounds so desperate comes across so sweet. Enjoy! This entry was posted in Baby Huey, Curtis Mayfield, Donny Hathaway and tagged Baby Huey and The Babysitters, Curtis Mayfield, Curtom Records, Running on December 30, 2011 by Robert Calero.